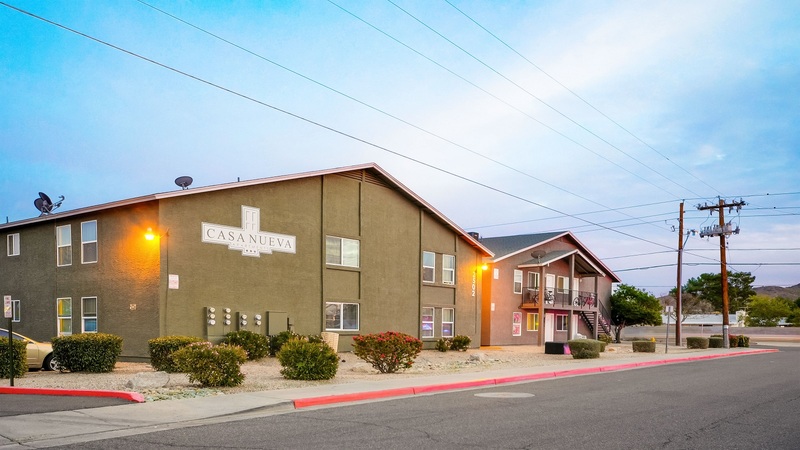 Phoenix, AZ – July 18, 2018 – ABI Multifamily, the Western US’s leading multifamily brokerage and advisory services firm, is pleased to announce the $7,150,000 / $79,444 Per Unit sale of Casa Nueva Apartments located in Phoenix, Arizona. Built in two phases, 1981 and 1987, Casa Nueva Apartments is a two story, garden-style, individually metered apartment community. It features 90 units consisting of (7) one-bedroom/one-bathroom units, (33) two-bedroom/one-bathroom units and (50) two-bedroom/one-bath with a weighted average size of 745 square feet. "Casa Nueva Apartments is located in northeast Phoenix nearby major Phoenix Metro employment and entertainment hubs of Paradise Valley, Desert Ridge and Scottsdale." states Rue Bax, Senior Managing Partner at ABI, along with Eddie Chang, Partner, who represented both the buyer and the seller in the transaction. "The Phoenix MSA was named 2nd out of 32 major employment markets for job growth in 2016 and a 2.2% population growth with a 3.1% unemployment rate as of May 2018. The buyer intends to continue capitalizing on this trend and strong rent growth potential with a value add approach through additional interior and exterior upgrades." Casa Nueva Apartments is situated just west of the Piestewa Freeway (SR-51). Residents enjoy direct access to all areas of the Phoenix Valley by way of the 51 and Pima Freeway (Loop 101). In addition, there are numerous dining and entertainment options in close proximity to the property, including Desert Ridge Marketplace, one of the most popular shopping centers in the Phoenix Metro with 1.2 million square feet of retail space. The buyer is a private multifamily investor based in Phoenix, AZ. The seller is an experienced private investment company based in California. The multifamily brokerage team of Rue Bax, Eddie Chang, Alon Shnitzer, John Kobierowski, and Doug Lazovick represented both the Buyer and Seller in this transaction.